THE winners of this year’s Teaching Awards were revealed at an awards ceremony last night (24 May) in The Union. The sixth annual Teaching Awards took place in the Main Hall, which was transformed to host the awards ceremony. Education Officer Amy Kittle and Vice President Cheshire Ellis Michaels hosted the night in front of an audience of over 100 people, all gathered to celebrate excellent teaching at Manchester Met. Vice-Chancellor Professor Malcolm Press opened the evening with a speech on how great teaching helps to change lives, inspires, shares knowledge and cares about students. Guest Sally Brown, Emerita Professor at Leeds Beckett University, closed the event with a fantastic presentation on lifelong learning. A total of ten awards were presented. This included the hotly contested Teacher of the Year category, won by Marie Carroll, and the Department of the Year award, won by the Department of Health Professions. The shortlists comprised individuals, courses and departments, all nominated by students at Manchester Met. The Union received a record-breaking 1,117 online nominations last term and entries were judged anonymously by a panel comprising of students, Student Officers and representatives from Manchester Met's Centre for Excellence in Learning and Teaching. 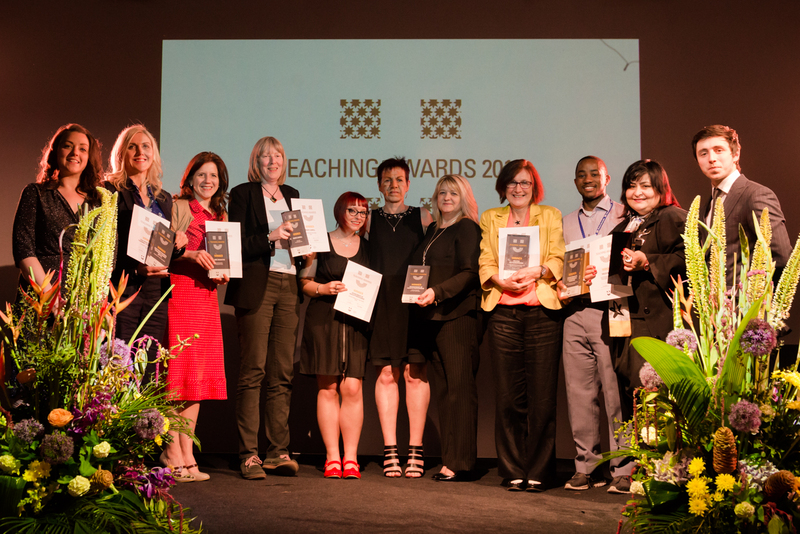 Find out more about the Teaching Awards.